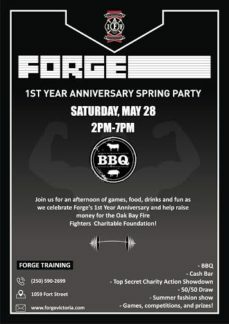 Forge Fitness is celebrating their 1st anniversary this Saturday, May 28th from 2pm-7pm. There will be a BBQ, beverages, 50/50 and more. So please come on down to 1059 Fort St and make a donation and enjoy the festivities. 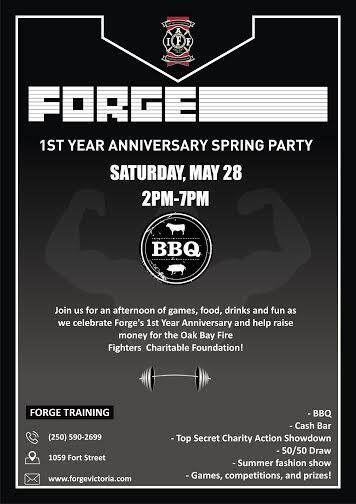 All donation proceeds will be going to the Oak Bay Firefighters Charitable Foundation!!! !